Since we provide Joomla migration service to our clients we sometimes need to migrate Joomla website from Linux server to Windows. Several compatibility issues will be reported. The rules in .htaccess file will not work in Windows Servers which will cause malfunctioning of the website. Here are the steps on how to deal with these issues. For this to work in IIS, a web.config file should be created and the corresponding rules in .htaccess should be imported to the same file. Here is a sample web.config file. Copy the entire content. So, the file web.config is ready. 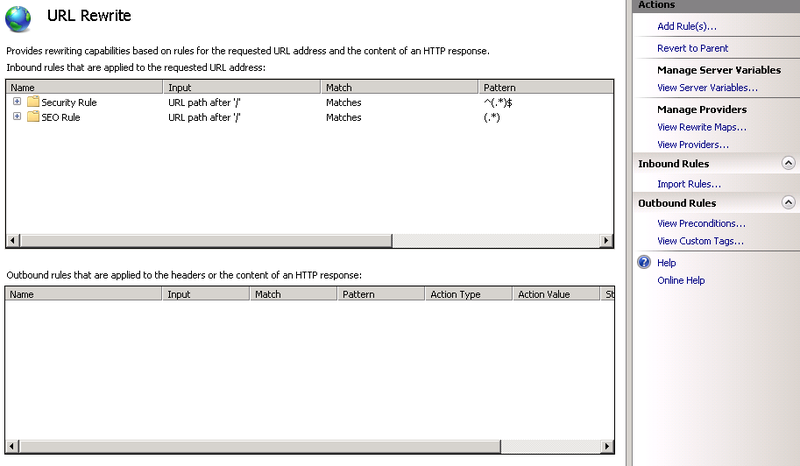 Now the rules in .htaccess has to be converted in accordance with IIS. 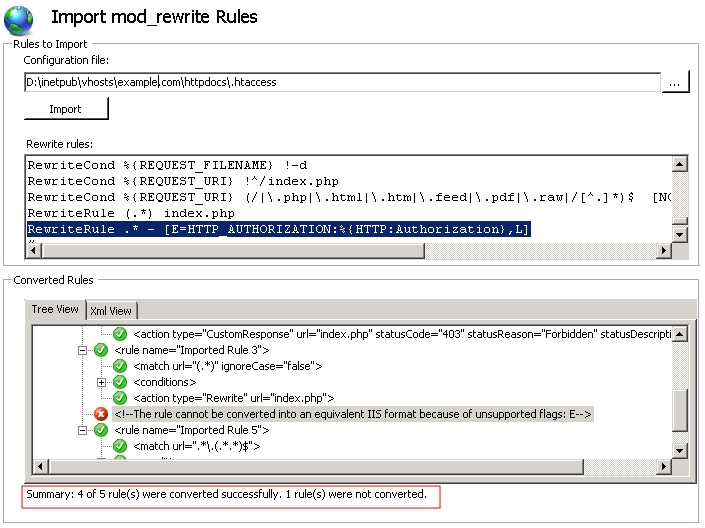 In IIS6, you can make use of the ISAPI_REWRITE module. Go to http://www.isapirewrite.com/ for downloading it. 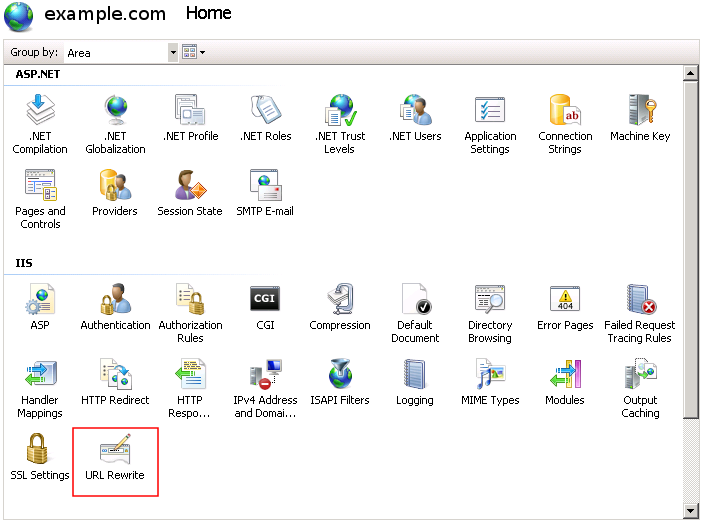 If you are having IIS7, here are the steps involved in converting those rules. Install the module, restart the IIS manager. Choose the website in which you have to convert the rules (under Sites category). You will see the ‘URL Rewrite’ module in IIS. Open it. Since the web.config file is already created with some predefined rules, you will see it as Inbound rules (by the Names – Security Rule and SEO Rule). You can convert the rules in .htaccess file by accessing the ‘Import Rules’ under Inbound Rules category in the Actions pane. Choose the .htaccess file and click Import. You will see the rules in ‘Rewrite Rules’ section and the converted rules in ‘Converted Rules’ option. Click Apply on the Actions pane on the right hand side to save these rules to the web.config file (If a web.config file was not created as mentioned earlier, that file will be newly created). Make sure there are no conflicts in the conversion. Watch the Summary on the bottom end. There was a conflict when we did it, its shown here. In such cases, remove any unsupported rules and then click Apply. Select the Domain, go to Web Hosting Settings. Scroll down to Services. 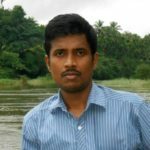 Choose PHP support to run as FastCGI application. Done, From now your Joomla website should work as smooth as it were in the Linux server. Sit back and Enjoy !